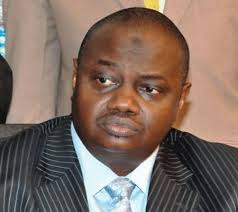 A Federal High Court sitting in Lagos yesterday, awarded N12 million against the Economic and Financial Crimes Commission, EFCC, over the illegal arrest and detention of the Administrative Manager of a firm, Rana Prestige Nigeria Industries Limited, Mr Adewale Adeniyi. Adeniyi had sued EFCC, claiming N30 million as general, exemplary and aggravated damages for the violation of his rights, as well as N10 million as cost of the suit. He had argued in the suit that he was arrested without a warrant, which makes it illegal. He was arrested by the EFCC, following a petition by Mrs Rachadatou Abdou, who co-owns the company. Justice Mohammed Idris in his ruling on his fundamental rights enforcement application, held that the commission violated the applicant’s rights. “There is no evidence that there was a preliminary investigation into allegations against him before the arrest. No order of court authorising the arrested was exhibited before the court. The respondents acted irrationally without following due process,” the judge held. Justice Yusuna said before anyone is validly arrested and detained, there must be preliminary in vestigation into the allegations against them. The court held that the applicant was not charged to court prior to his detention. Justice Yunusa said security agencies must exercise restraint at all times and must not be “intoxicated” by the enormous powers they possess. He held that damages are due the applicant for the trauma he was subjected to while in detention.The judge awarded N10 million against EFCC, which must also pay N2 million cost and N5 million against Mrs Abdou.